Junk King gets rid of your junk. We know that it can be a challenge to get rid of what needs to go when you are moving and that’s why our Fairfax – Junk Removal options are so popular. We understand that not every municipality or city has adequate junk removal services. That’s why we’re here to fill in with an Eco friendly and efficient business model. 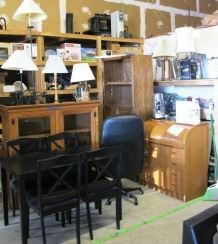 We remove all sorts of junk that includes mattresses, chairs, tables, bookcases, cubicles and desks to name just a few. You can book online with our Fairfax – Junk Removal option or give us a call to get started. One of the questions that our customers ask us most often is how to get started. They’ve got sometimes years worth of stuff in their house and they want to be able to separate the junk from what they want to take with them when they move. Here’s a few suggestions on how to go about making two different piles. There’s a tool for every job and sorting through your junk at home is no exception. You’ll need to put together several garbage bags, a few laundry baskets and we like to suggest that you get a full pad of sticky notes and a magic marker. After that, it’s a good idea to break a big job down into smaller more manageable pieces. For example, our Fairfax – Junk Removal professionals can only haul things away for one room at a time. That’s why we suggest that you only sort in the same fashion. Take one of your laundry baskets and a few stickies and head into that back bedroom. If you can go through the closets and put this stuff that you’re taking with you in one laundry basket and market accordingly, you can leave the rest for us when we show up. We also like to suggest that our clients time themselves as they move from room to room. Getting caught in waves of nostalgia over a dinner jacket that you haven’t worn in 10 years in the back of a closet won’t help you get the job done. The garbage bags make excellent starting points for what you think might be going to the recycling center. Of course, these are our suggestions and you can put your own plan together. However, this is one of the ideas that’s worked for several of our Fairfax – Junk Removal clients. This entry was posted in Fairfax Junk Removal, Junk Hauling, Junk King Fairfax on January 28, 2019 by Junk King. Last updated January 28, 2019 . When was the last time your garage had enough free space for you to park a vehicle inside? For most people, the answer is likely to be “a long time ago.” Garages are handy because they’re a great place to store all the things we don’t have room for indoors, but that same feature can also be the reason they turn into a space filled with junk. Whether you’ve run out of space or you’ve simply decided it’s time to make a change before the garage gets too out of control, embarking on a clean-up project is the right choice. With a Fairfax home dumpster rental and the ability to immediately toss out all the things you don’t want to keep, you can make quick work of what might look like quite the daunting task. The easiest way to estimate how much you will likely need to dispose of once you begin cleaning out the garage is to remove its contents all at once to get a “big picture” look at everything. For most people, that’s the kind of thing they only want to do one time, so it’s best to do this when you’ve already made other decisions about how to dispose of the garbage. While visually estimating the volume of the refuse the project will generate is very difficult, you can take the time to assess what you’re most likely to keep ahead of time. Spend an afternoon looking over everything you can easily access within the space, thinking carefully about what you know needs to go and what items are still worth saving. How many things have you mentally marked for disposal? If there are only a few things and fixing up the garage is more of a matter of better organization, you can probably dispose of your items through a municipal bulk pick-up trash day. However, what if it becomes apparent very quickly that you have many things which have since outlived their usefulness? Then it’s time to more closely examine the question of whether a home dumpster rental is right for you. Before you move on, formulate a firm plan for how you’ll tackle the cleaning project. If you don’t have an order to follow, it’s easy to move from task to task without completing anything. Know how you’ll move things out, how you’ll sort them, and how you’ll dispose of them, too. Once you think you’re ready, other considerations come into the picture. Not every agency that rents dumpsters offer the same level of service. Even if you’re intent on moving quickly and trashing out the garage with as few delays as possible, it is important to slow down and take the time to ensure that you rent a dumpster that aligns with your needs. For example, you likely do not want to rent a “construction” sized dumpster, which could take up far more space than you expect. Such dumpsters also typically use a pricing structure based on the total weight of the removed debris, which may equal a more expensive project depending on what you discard. How much you’re willing to pay can have a big influence on the choice you make at this stage. What if you know you’ll need to toss a lot of things, including heavy objects, but you aren’t sure exactly how much? A more forgiving pricing breakdown in use by some businesses charges customers based on the volume of the dumpster used, rather than the weight. Fill up less than half, and you get a discounted rate. Only if you go over the halfway point and fill the dumpster will you pay more, but it should still be a fair price. Before you put down a firm booking, ask the providers you speak to about acceptable waste. What can you throw into the dumpster? You could have everything from an old washing machine to stacks of old magazines to throw away — so will they take it all? What if you have old computers or TVs to throw into the mix? Be careful, because not every rental will work for a garage clean-up project. Some providers may only accept construction debris, yard waste, or non-electrical waste. Be aware that some wastes, such as old motor oil, may not be allowed in a dumpster at all. Others, like old cans of paint, should undergo a drying process before disposal in a dumpster. Check with the company you intend to use on their policies. Do you want to minimize your impact on the world as you throw these things away? There are green dumpster rentals out there that can be the perfect fit for such a situation. Instead of shipping your junk straight to a landfill, some businesses will meticulously process your discarded trash to find recyclable materials. Who knew a cleanup project could help the environment? With all these things considered, you can solidify your pick and prepare to give your garage the facelift it needs. Once you’ve finished picking a dumpster service, it’s time to schedule the first day of your rental and prepare to tackle the project. Now is when the value of bringing in a dumpster becomes apparent immediately. During the convenient delivery to your home, you can have the dumpster placed in your driveway, and with supports if necessary to prevent damage. With your oversized trash can just a few feet away from the entrance to the garage, you can make quick work of disposal. Instead of filling bag after bag or lugging heavy objects to the curb, you can pitch them all straight into the dumpster — it’s that easy. While you throw unwanted items into your rental, separate the rest of your things into two piles. Mentally label them the “keep” and “sell” stacks. You’re likely to come across several items that you don’t want, but which it might not make sense to throw into the dumpster. These you can consider selling online or donating to local thrift stores instead. Once you’ve finished moving all the items out, you can do a deep clean of the garage itself. All that’s left at this point is to move your “keep” items back into place, and voila: a garage you can use to safely park your car, a perk that comes with advantages of its own. Satisfied? Call the rental agency again and let them know you’re ready to return the dumpster. They should dispatch someone as soon as possible to come and haul it all away for good. This way, you don’t need to spend days or weeks waiting for regular garbage service to remove everything you didn’t want. If you chose a “green” rental, you can also enjoy the fact that at least some of your garage’s old clutter will go on to have a second life in new applications. Don’t let a jam-packed garage keep you from using the space the way it was intended. After organizing everything and throwing what you don’t need into your home dumpster rental) you’ll be able to enjoy a vastly more functional space once again. Don’t worry. Once you make a start, it won’t be long before the finish line, and a much cleaner garage, is in sight. This entry was posted in Fairfax Junk Removal, Junk Hauling, Junk King Fairfax and tagged Fairfax Junk Removal, hauling, junk king, Junk Removal on July 3, 2018 by Julian Torres, "JT". Last updated December 10, 2018 . How much does it cost to rent a dumpster in Fairfax, Virginia? The answer to that question is going to vary depending on a few different factors. Ideally, any dumpster rental company you are considering should be happy to provide you with a no-obligation price quote. You can get quotes from a few different providers and then compare costs as a means of deciding where to rent your dumpster. The size of the dumpster you decide to rent: With some junk removal companies, the question “How much is it to rent a dumpster?” is perhaps most contingent on the size of dumpster you choose to rent. Many companies serving this niche offer half a dozen different dumpster rental sizes, usually ranging from 10 cubic yards to around 50 or 60 cubic yards. Obviously, you are going to pay more to rent a bigger dumpster. How long you need the dumpster: Is your project a weekend cleanout or a renovation where you expect the demolition stage to take a week or longer? The answer will reflect in the cost of your dumpster rental. You will need to pay extra if you wish to keep the bin for longer. Most dumpster rental companies have multiple different tiers, based on the length of your rental. By standard, these tiers will probably be set for three-day rentals, five-day rentals, seven-day rentals, etc. You can rent bins for longer, of course, but you will need to arrange that with the company. Your location: The location of your home or business is always going to affect how much you pay for a dumpster rental. Any dumpster rental service involves both a bin delivery and a bin pickup. The distance that the delivery/pickup driver needs to travel to reach your location, therefore, is going to be a major factor in the cost of your rental. As such, it’s not a bad idea to look at where different dumpster rental companies are in relation to you. If you live in the heart of Fairfax, you will probably save money by finding a dumpster rental company located in or near the downtown area. Availability: Especially with dumpster rental companies that offer a variety of different sizes to choose from, how much you pay might depend on the availability of the type of bin you need. For instance, if the dumpster rental company nearest to you has rented out all its 15 cubic yard units, you might have to pay extra to bump up to the next biggest size or to have the dumpster delivered from another location. Type of trash: Some companies rent out different types of dumpsters for different types of trash. Some might have specific bins for construction debris, yard waste, electronic waste, or the like. In general, you can expect to pay slightly different rates depending on the type of bin you choose to rent. The variance in cost is because some types of trash are more difficult to dispose of safely than others. For instance, electronics or appliances often can’t just get dumped in the nearest landfills. There are necessary protocols that companies follow to prevent pollution and dangerous environmental effects. As a result, tougher-to-handle waste will sometimes cost more to get rid of than more standard garbage. In some cases, though, you might find companies that sort your junk for you at no additional cost. 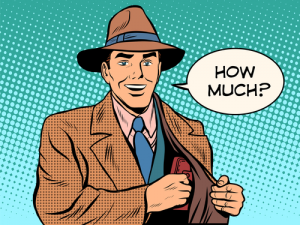 The amount of junk you have: As we already mentioned, there are dumpster rental companies out there that bill flat rates based on dumpster sizes. There are also businesses that bill on a more contingent basis, either based on weight or on how much dumpster space you fill. In many ways, these models are more customer-friendly, as you pay based on the amount of trash you are disposing of and not based on the bin you choose. Especially if you have no idea which dumpster size is right for your situation, looking for a company that bills based on weight or dumpster space might be a better option. The company you choose: Even aside from the other items featured on this list, different dumpster rental companies charge slightly different rates for their rentals. These rates may be based on a company’s longevity or reputation or might just shift as different services try to compete with one another. Because prices vary so much, it’s always a smart strategy to get three or four quotes to compare. If you only get one quote, it will be difficult to know whether it’s on the high or low end of the market. Fees and add-ons: Some dumpster rental companies have billing systems that supplement the cost of your actual dumpster hire with fees and add-on charges. 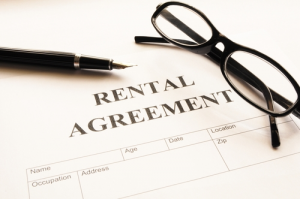 Permit fees, dumping fees, rental fees, and other additional expenses are all semi-common. Fees aren’t a massive problem if they aren’t pushing you out of your budget range and if the company is being transparent about them. However, just make sure you know what you are dealing with upfront. When you get a quote, ask if the price estimate is locked in or if there will be any additional costs or fees. You shouldn’t expect a guaranteed quote—especially if your dumpster rental company bills based on the amount of bin space you use. However, any dumpster rental company worth its salt should either disclose fees or clarify that there are no hidden fees. 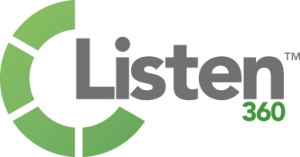 You can do some internet research here as well, to find out if a company has any complaints about unfair or misleading pricing practices. Start Asking Around: How Much Is It to Rent a Dumpster in Fairfax, VA? Renting a dumpster is an efficient way of streamlining any extensive cleanout process. Whether you are divesting yourself of unwanted belongings, preparing to move your business to a new location, or renovating your kitchen, waste is going to build up quickly. Having a place on your property where you can toss everything temporarily can help keep the project moving at a steady clip. Ideally, a dumpster rental should also be affordable. After all, you are just paying for the bin. The actual cleaning and hauling work remains DIY, which makes for a cheaper price tag than full-service junk removal. Just how affordable your dumpster rental is, though, will depend on all the factors listed above. To find the best price, start asking around. Look at different companies in Fairfax, research their websites for ballpark pricing figures, or call for more accurate price quotes. Clear a couple of hours to devote to the research process, and you should find a dumpster rental service that meets your needs for a price that seems fair. At Junk King, we are always happy to provide pricing information to prospective customers. We are one of the dumpster rental companies that bills you based on the amount of dumpster space you use. We also only have one dumpster rental size, which means our pricing structure is more straightforward than what most of our competitors are using. On average, our prices start at $125 and go up from there, depending on how much junk you have, how long of a rental you need, and where you live or work. How much is it to rent a dumpster from Junk King in Fairfax, you may ask? If you are in the midst of planning your project, then start the quote process with us by using our online pricing calculator. Just let us know your zip code, prepare a basic inventory of the items you are getting rid of, and we will give you a zero-obligation price quote. If you decide to work with us, you can book online to save $30 instantly. As you compare dumpster rental costs, though, try to find companies that will give you concrete estimates or quotes. Services that are cagey about price quotes will often try to hit you with unexpected fees after the fact. Reading online customer reviews should also help you spot—and avoid—these dumpster rental companies Call us for more information at (888) 888-JUNK. This entry was posted in Debris Removal, Fairfax Junk Removal, Junk Hauling, Junk King Fairfax and tagged dumpster, hauling, junk king, Junk Removal on March 13, 2018 by Julian Torres, "JT". Last updated December 7, 2018 . Angela Woolsey of the Fairfax County Times writes a charming article about Junk King, Jun 24, 2016. Here is an excerpt; click here to see the whole article. Joey Powers was helping a woman in her late 90s clean out her house after the death of her husband when he stumbled across the cabinet of knives. It turned out that the woman’s husband had worked as a coroner for the U.S. Army during World War I, and he’d used the knives to perform autopsies. Joey Powers donated a collection of photographs he found from the Alexandria area to the George Washington Historical Society in Mount Vernon. “It’s not every single day that we’re running into priceless antiques or anything, but it certainly happens,” Joey said, prompting Graham to joke that his drivers might all turn into antique dealers someday. 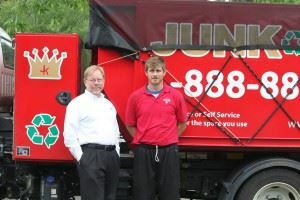 Junk King boasts its drivers’ integrity as a chief selling point. They’re instructed to inform customers if they find something potentially valuable instead of trying to sneak it away. “They’re honest guys, and if they weren’t, they wouldn’t last here,” Graham said, citing an example of when he managed to stop an Anacostia customer from throwing a print by Maxfield Parrish, an influential, early 20th-century painter, into the garbage can. This entry was posted in Debris Removal, Fairfax Junk Removal, Junk King Fairfax, Recycle and tagged fairfax, Junk Removal, repurpose on June 28, 2016 by Alex Powers. Last updated August 1, 2017 . Joey Powers was helping a woman in her late 90s clean out her house after the death of her husband when he stumbled across the cabinet of knives. It turned out that the woman’s husband had worked as a coroner for the U.S. Army during World War I, and he’d used the knives to perform autopsies. Though he says that the discovery was “a little spooky” at first, Powers uncovers fascinating odds-and-ends and historical mementos like that knife collection on a fairly regular basis, one of the perks of his job as a driver for the Fairfax branch of the California-based trash removal service Junk King. This entry was posted in News on June 24, 2016 by Alex Powers. Last updated August 1, 2017 . At Junk King, we work with professionals, like Maria Spetalnik (Conquer the Clutter). Maria provides the counseling, planning, and support. We help with the heavy lifting and disposal of the unwanted clutter. We provide the labor and trucks. Our crews respect the client, We also respect the environment by repurposing, donating, or recycling everything. We are 100% landfill free. Call Conquering the Clutter or Junk King Fairfax. We can help, whether you have a little clutter or a lot. This entry was posted in Uncategorized and tagged Hoarding, Junk Removal on April 11, 2016 by Alex Powers. Last updated August 1, 2017 . 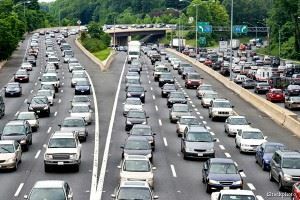 If you are a DC commuter, you will not be surprised to learn that our Metro Area has the worse traffic in the United States. According to a report by the Texas A&M Transportation Institute and INRIX Inc., traffic congestion across the nation reached a new peak last year and is greater than ever before. They analyzed federal data on the number of cars on the road and on traffic speed data collected by INRIX on 1.3 million miles of urban streets and highways. Washington DC ranked as the worst congestion measured in annual extra hours commuters spend in their cars due to delay, together with the cost in lost time and fuel. On average, Washington, D.C.-Virginia-Maryland commuters lose 82 hours stuck in traffic at an annual cost of $1,834 per commuter. Ouch! In our own modest way, Junk King helps reduce congestion. Each of our big trucks holds the equivalent of six pickup truck loads of debris. In a typical day, each of our trucks makes two full hauls to the dump, which helps keep an equivalent twelve pickup trucks off our already crowded roads. The next time you find yourself behind a Junk King truck, remember that it’s better than being behind six pickup trucks. When you call Junk King, you get the best service at a good price, 100% landfill free recycling, and you help reduce road congestion. What’s not to like? This entry was posted in Uncategorized on August 29, 2015 by Alex Powers. Last updated August 1, 2017 . 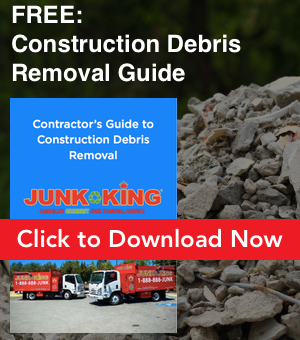 Junk King is a junk hauling and junk removal company in Fairfax VA. Our goal is to not only to take off all the items that you no longer need off, but do so in a way that makes your life stress free and make the environment better. We use large trucks that are able to remove your junk on any day requested by you. All kinds of junk and trash are handled by us, quickly and efficiently. From not in use appliances to entire basements, we can take care of all. •	E-waste – We can pick up computer hardware and other e-waste from your home or office and dispose them safely. 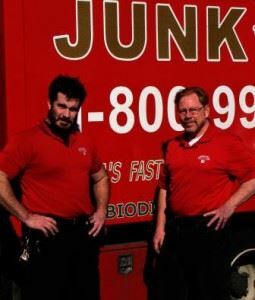 •	Commercial – Our junk hauler team can come in and haul away any broken fittings, boxes and any other unused or not in any more use stuff that clutters your shop. •	Backyard – Just cleaned up your yard or patio? We can pick up all your green waste and haul it away. 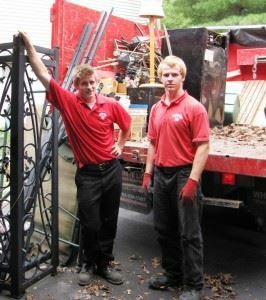 •	Moving house or end of tenancy – Moving is a stressful time.Let our junk hauler Fairfax, VA team take care of all the trash and unwanted items you may have collected over the years. This entry was posted in Fairfax Junk Removal and tagged junk king, junk removal problem on August 18, 2015 by Alex Powers. Last updated August 1, 2017 . Junk King is a junk hauling and disposal company in Fairfax VA. Our goal is to not only to take off all the items that you no longer need off, but do so in a way that makes your life stress free and make the environment better. •	Moving house or end of tenancy – Moving is a stressful time.Let our junk hauler Fairfax, VAteam take care of all the trash and unwanted items you may have collected over the years. This entry was posted in Debris Removal and tagged Debris Removal on August 15, 2015 by Alex Powers. Last updated August 1, 2017 .